Yes. 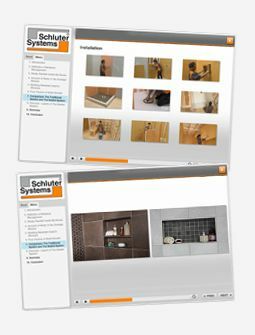 Schluter-Systems offers various profiles that allow the user to produce a finished tile base with a cove. The first step is to select a cove-shaped profile that will provide the transition between the floor and the base. For example, Schluter-Systems offers the Schluter-DILEX-EHK in stainless steel, Schluter-DILEX-AHK in anodized aluminum, and Schluter-DILEX-HKW in PVC. Selection between these profiles will depend on the expected stresses (e.g., residential application vs. commercial kitchen) and desired appearance. The next step is to select a profile to finish the top of the tile base that may consist of your floor tiles in a different format (either cut or from the manufacturer). Suitable options include the Schluter-RONDEC for a rounded appearance or the Schluter-QUADEC for a square look. The final result will be a beautiful, durable, and maintenance-free tile base.